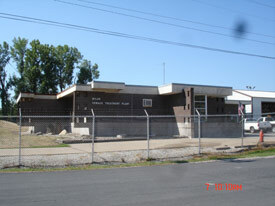 Located at 1200 South West 2nd Avenue, Milan, IL. Business hours are 7-3:30. Sewer office can be reached at 309-787-8530. For after-hours emergency contact the Police non-emergency number at 309-787-8521. Water/Sewer personnel will be contacted to address your concerns. The Water/Sewer department provides continuous and essential sanitary sewer service to the homes and businesses of the Village of Milan. Our collection system team operates and maintains the extensive network of buried sewer mains and pumping stations that receive and transport wastewater discharges from our customers to our two wastewater treatment plants. Our treatment operations team is responsible for the operation and maintenance of these treatment facilities. The Water Department is responsible for monitoring Milan’s 3 Public Water Supply Wells, 35 miles of distribution system water mains, 325 Fire Hydrants while treating ~480,000 gallons of water a day for residential and commercial consumption. The Sewer Department is responsible for the operation and maintenance of Milan’s Wastewater Treatment Plant, 32 miles of Sanitary Sewers, 10 Lift Stations and treatment of ~1,100,000 gallons of sewage a day. Together, The Water-Sewer department provides continuous and essential drinking water and sanitary sewer service to the homes and businesses of the Village of Milan. Our team operates and maintains the extensive network of buried water & sewer mains and pumping stations that receive and transport water and wastewater for our customers. Sewage travels to our wastewater plant where it is treated and discharged to the Rock River. The Village of Milan’s Water & Sewer systems are operated as public utility enterprise funds. No tax dollars, in any form, are used to fund the water and sewer systems. All funds, revenues and expenditures associated with its operation are segregated from other Village finances. The current annual Water System budget is $452,000 and the Sewer System budget is $480,000. The revenue that supports these budgets is derived solely from the fees charged for water & sanitary sewer services noted on your bi-monthly water bills. • What are hookup fees for new home or new services? • What if my sewer is backed up? • Who is responsible for water & sewer lines on homeowner’s property? • What are Milan's Current Water-Sewer Rates?